Have a question? Let's find you an answer. When your existing customers are talking about you, your potential customers are listening. Want to invite customers to review your service and one or more products using one invitation link? Here's a guide to using our API to generate unique invitation links. 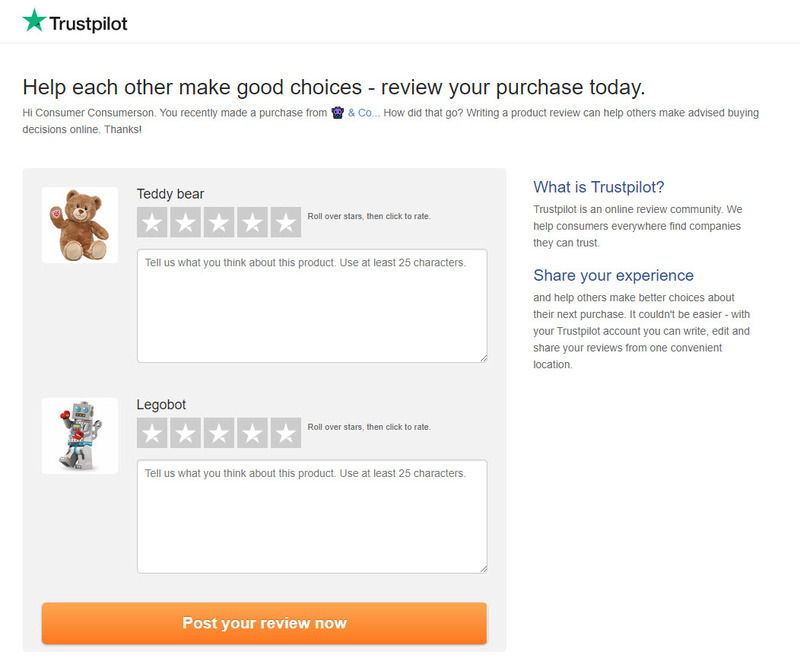 With this API, you can generate a product review invitation link for one or more products. Products - Either a list of product ids or a list of each product's URL, name, SKU code, image-URL, and brand (manufacturer). The image-URL and brand are optional, but both are recommended for the best user experience. Your API call will return a URL to use as a redirect-URI in the next step. With this API, you can generate a unique invitation link to email a customer. If you'd like to redirect the customer to our product review form after writing the service review, please provide the optional redirect-URI parameter. Your API call will return a URL link that you can insert in your email. When the customer clicks on the link, they are taken to the service review form. 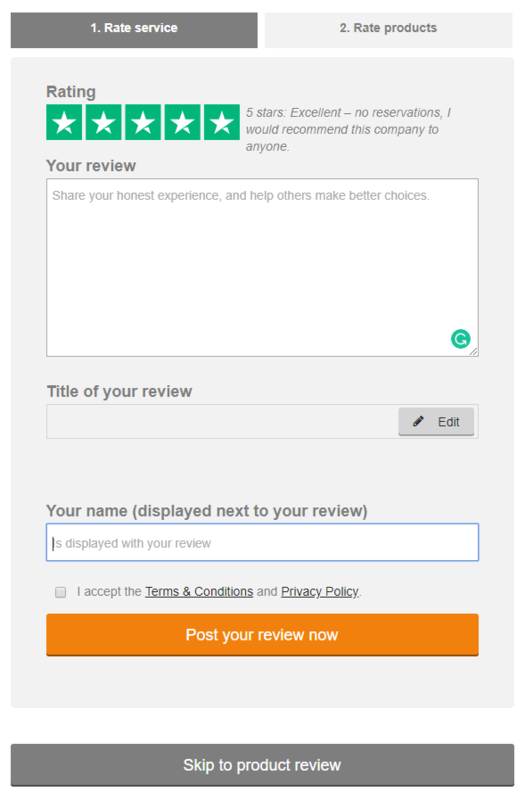 After writing and posting the review, or clicking the Skip to product review button, the customer is redirected to our product review form to leave a review of the product specified in step 1. Interested in seeing a higher return on your Trustpilot reviews? Sign up with Trustpilot today! © 2018 Trustpilot, Inc. All rights reserved.